The 233rd release on Deepsessions sees Mikelangelos Project returning to the label. The Colombian born producer is now based in Miami and this is his third appearance on Deepsessions. The “Sacred Spirit” and “Cronos” EPs came in July and September respectively and further releases on Stereo Enchained have also followed. “War” is the newest Mikelangelos Project offering for Deepsessions and it includes 3 brand new original productions. 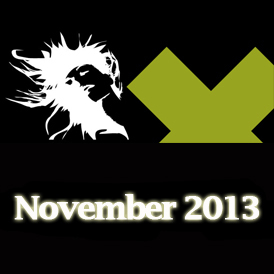 Greece’s Deepsessions Recordings returns this week following a 3 week hiatus. The labels 234th release features the debut of Emse to the label. The Polish producer is one of the new up and coming names in progressive house and certainly one to watch as 2014 approaches. 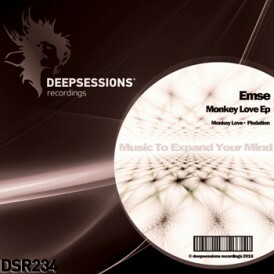 Emse’s debut EP for Deepsessions is entitled “Monkey Love” and it comes with two brand new original tracks. Since first hearing live club streams on the radio at age 10 Nick Robson is has been drawn by electronic music. Coming from Liverpool in the UK he has had a diverse output over the years which is a reflection of his musical taste and willingness to experiment. Krystal Kids is the stage name that Argentinians Brian Harrison and Guido Santiago chose when they decided to dedicate their lives to the production of electronic music.